An experienced Project and Programme Manager, qualified PRINCE2 practitioner, specialising in healthcare projects and with experience in transport, environmental and economic regeneration fields. I am skilled in Business Case development, including under HM Treasury’s Green Book process. An excellent communicator, able to provide a high level of professionalism and ensure the achievement of project targets and business objectives. Able to lead major procurement, including under EU public sector law. Seeking to add value to clients’ businesses in consultancy roles. I specialised in Geography and History. I am developing a Full Business Case for a major whole-hospital refurbishment project. Development of Outline Business Cases for two new-build capital projects for Dorset Healthcare. Critique of two Outline Business Cases for South West London and St George’s Mental Health NHS Trust and TDA Business Case checklist. Gave advice to the team on the Treasury Green Book process. For this world leading Cancer centre, I am advising the Director of Projects and Estates on commercial matters relating to community healthcare properties. Conducted occupancy surveys and developed a room use database. Developed a Business Case template and collaborated on an investment appraisal model, both now being used for capital projects. Produced Business Cases to gain approval for projects to be procured under Third Party Developer and LIFT (forms of Public-Private Partnership) procurement routes, to deliver new primary healthcare facilities in the West Midlands. Assisted the Black Country Cluster and the local NHS Property Services team in the rationalisation of their estate. South London and the Maudsley NHS Foundation Trust provides the widest range of NHS mental health services in the UK, and is part of King’s Health Partners Academic Health Sciences Centre. I was responsible for investment appraisal for capital projects, producing more than twenty robust Business Cases and obtaining funding approval. Acted as Project Manager during the Business Case stages of multiple clinical projects. Produced a specification for an OJEU procurement exercise for staff safety alarms, a £6m project. Collaborated on process improvements to accelerate the progress of projects through the planning and approval stages. Combining the roles of operational management (buildings maintenance, fire safety, waste, laundry and transport services) and strategic estates leadership in this former Primary Care Trust (PCT). Member of a team planning the creation of a new Shared Services organisation for local Government and healthcare Estates and Facilities management, including organisation design and option appraisal. Led the development of a programme of CO2 emissions reduction projects and other schemes to meet sustainability and cost savings targets. Carried out detailed appraisal of the organisation’s 38 buildings (total 30,000 m2) as preparation for dividing the PCT’s assets following reorganisation of the NHS locally. Project management of the creation of a new commissioning function and competitive provider market for the training of all doctors and dentists in London (accounting for one quarter of all the country’s medical education, and on which c £700m per annum is spent), project value c £10m. Ensuring integration at programme level of multiple project work streams, across different agencies. Identifying risks, issues and dependencies and devising means of managing these. Led the programme management of the capital investment programme in the then largest NHS Trust. I was responsible for the planning and scheduling of around 200 projects, with varied business objectives, and an overall capital value of around £70m per annum. Worked closely with executive directors and senior clinical staff to develop project proposals and business cases from their clinical service priorities, and carried out Business Process Re-engineering as part of the project planning work with them. Reported to Board level and presented business cases and project progress reports to an executive group chaired by Chief Executive. Responsible for space planning of more than 300,000 m2 of real estate. Led the Estates Programme Management Office (PMO) and successfully merged and restructured two departments. In July 2009 I left Imperial to take a mid-career break, then returned to contracting. 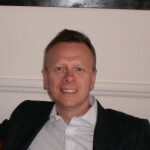 June 2004 – Jan 2009: Programme Manager, Imperial College Healthcare NHS Trust, and the same role for Hammersmith Hospitals NHS Trust, prior to merger and creation of Imperial College Healthcare in October 2007. Led the design and setting up of the Programme Management Office, implementing programme management methods new to the organisation. I designed the PMO to provide monitoring and control, project governance and to act as a strategic partner to project clients, guiding them through the stages of project inception, business case appraisal, financing and project approval. Working with a range of professional stakeholders in the hospitals, most importantly the senior clinicians, the PMO brought the capital programme more closely into line with the organisation’s strategic objectives. Among the strategic projects I was instrumental in getting off the ground were: enabling a major cardio-vascular research centre (c £100m); an automated Pathology laboratory (c £3m); a 72-hour Day Surgery centre (c £4m); a Cardiac surgery centre (c £6m); a regional Hyper Acute Stroke Unit (c £4m); a large number of ward refurbishments; and state of the art imaging suites (PET/CT, MRI and CT scanning). In collaboration with the Finance team I devised and implemented a method of forecasting and reporting capital expenditure and cash flow, to improve the organisation’s ability to hit the financial targets of the investment programme. A project support role, principally providing project planning, monitoring and reporting. Ran an executive committee that prioritised, appraised and monitored capital projects. Responsible for commercial property management with a budget of £5m per annum, achieving income improvement targets each year. My team increased rental income by approximately 50% over four years. I managed the implementation of a new Information System to calculate pay awards. Ensured the provision of personnel benefits to all UK staff. I achieved the orderly application of employee benefits during a period of company restructuring in UK. I was responsible for implementing a change programme for devolving management to the nursing teams, which we got off the ground successfully within a year. Developed and implemented procedures and a staff development programme to ensure nursing teams had the capability to be self-managing. July 1996 – Sept 1997: temporary roles, following redundancy. I was a consultant in a firm specialising in geographic information systems, land survey and property information projects. From 1993 to 1996 on the Channel Tunnel Rail Link project (High Speed 1). I project managed a land referencing section, then took the position of Commercial Manager in the Business Planning Department. I built successful working partnerships with consultant teams, maintaining control over progress of work. I also drafted explanatory papers and project overviews for the House of Commons Select Committee reviewing the Bill for the new railway. From 1989 to 1991, as a Project Manager, I led teams engaged in research and processing of land and property information, under the legislative processes for promoting infrastructure schemes which included the extension of the Docklands Light Railway to Lewisham; sections of the planned Midland Metro network; the Cardiff Bay Barrage scheme and regeneration projects promoted by Urban Development Corporations.